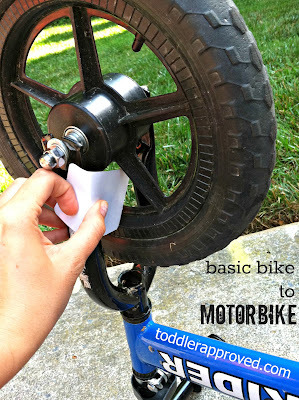 Everything stops when we hear/see a motorcycle passing by - which is why I can't believe that it's taken me this long to show my kids the fun I had "back in the day" making my bike sound like a motorbike by putting a baseball card in the spokes. Please tell me I'm not the only one old enough to remember doing this?? 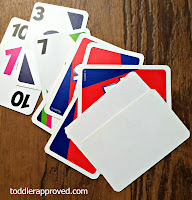 From previous childhood experience, I wouldn't recommend using a baseball card - you never know if the one you'll be destroying using is or will be of value. 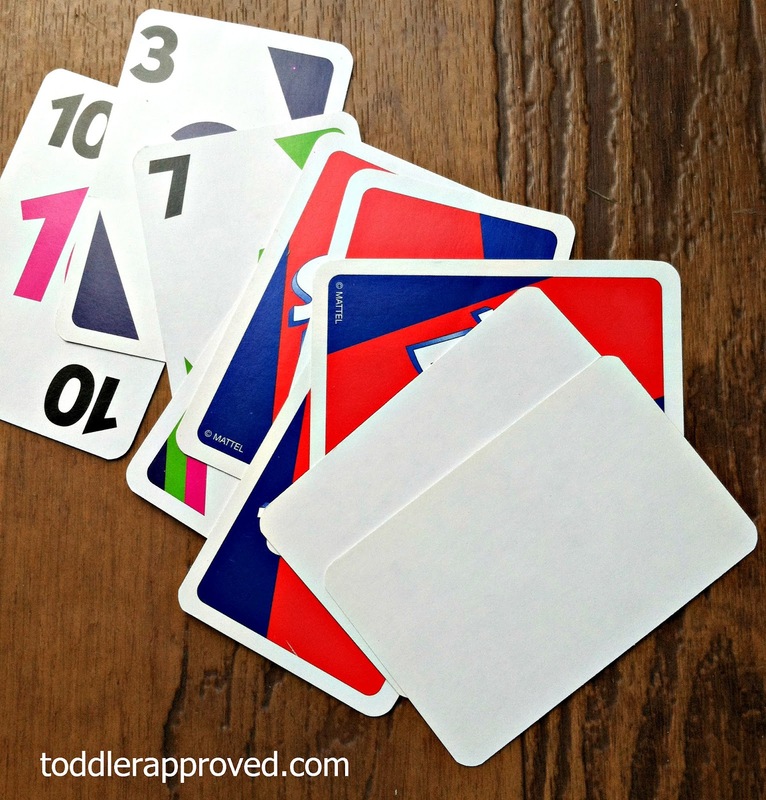 Our current solution: using some of the blank cards (that come in just about every pack) of a set of playing cards that your have on hand, or a small piece of cardboard cut out of a cereal box. Position and fold the card on the fork of the bike frame - so that one end of card will make contact with the spokes as the wheels are turning. Give the wheel a few turns to be sure you're satisfied with the position and the sound produced. Secure with tape. If you're worried about removing paint from the bike, you can use painters tape (however the card may not be as secure). I just used clear packing tape (and have since removed it with no problems). Then, take your upgraded "motor"bike for a test ride. Warning: Upgrading a basic bike to motorbike as demonstrated above may result in your child desiring to spend significant amounts of time outside riding it. This looks like a wonderful idea! 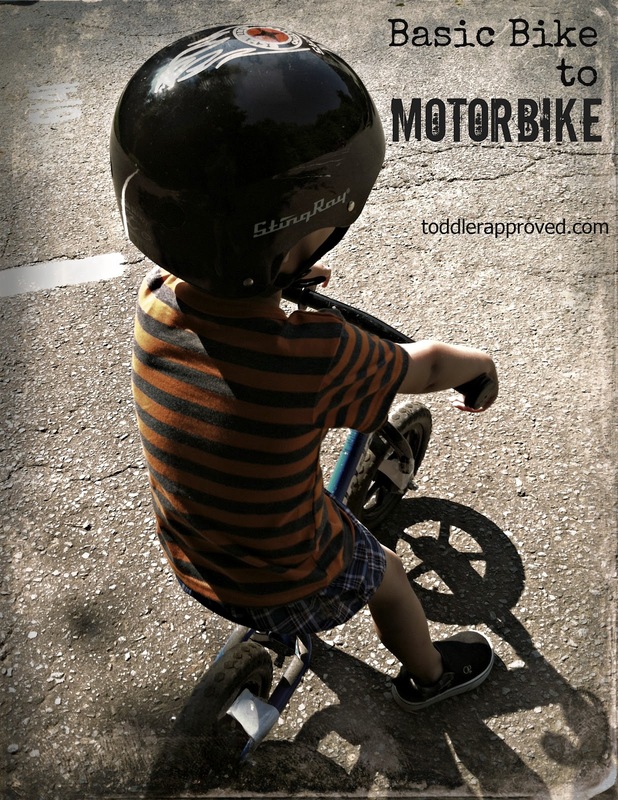 What kind of bike is your little one riding? Thanks Jessica. The bike is a Strider balance bike (one of the best investments I've made to date). You are not the only one old enough to remember this :-) That was so cool! Oh yes! My dad was always adding playing cards to the spokes of our bikes when my siblings and I were kids! Thank you for your nice sharing.